Viator Tours is a worldwide company and they have 5 star tours in most countries. Viator have tours of London and to picturesque destinations in England and my favourite tour is the tour to the Cotswolds. Touring with Viator in comfort to the beautiful Cotswolds takes the stress out of driving yourself. Feeling relaxed one is able to enjoy the quaint villages, the rolling green hills and valleys in this area of outstanding natural beauty. The deluxe coaches, knowledgeable guides and low prices make Viator the number one choice when visiting the Cotswolds. They pick up and drop off from selected London Hotels. 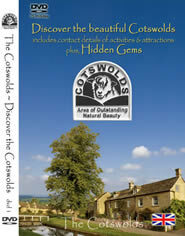 There are many Cotswolds Tours to choose from, the 1 day, 2 day or 5 day tours. The Day trip to the Cotswolds for lunch [approx. 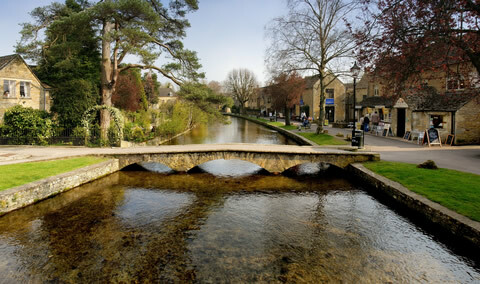 10 hours] takes in the pretty villages of Burford, Stow-on-the-Wold, Bibury, Moreton-on-the-Marsh and Stratford-upon -Avon. The Day trip to Oxford, The Cotswolds and Stratford-apon-Avon [11hours] ensures you see 3 of England's most popular destinations. The small group tour of 16 people makes it a very personal experience. Blenheim Palace tour and the Cotswolds are a must for all Winston Churchill admirers. The drivers often travel on the back roads of the Cotswolds where you can see the smaller villages steeped in history. The 2 day Cotswolds Tour takes in the Cotswolds, Bath and Oxford and the small group of 16 allows you to spend more time in each place soaking up the atmosphere. The 5 day small group tour allows you to see the best of England touring Oxford, the Cotswolds and Bath with experienced guides. Five days staying in beautiful lodgings, immersed in the history of each unique town is a wonderful experience. Booking your trip before you leave is advisable as Viator tours are very popular and bookings fill up quickly. Booking here online you need to click on the banner below, type in the Keyword "Cotswolds" 1, 2 or 5 day tour whichever you prefer and type in your preferred dates. Prices online are generally lower. Whatever tour you take with Viator you will enjoy it and in particular the memory of the glorious Cotswolds and surrounding towns and cities will stay etched in your heart forever.